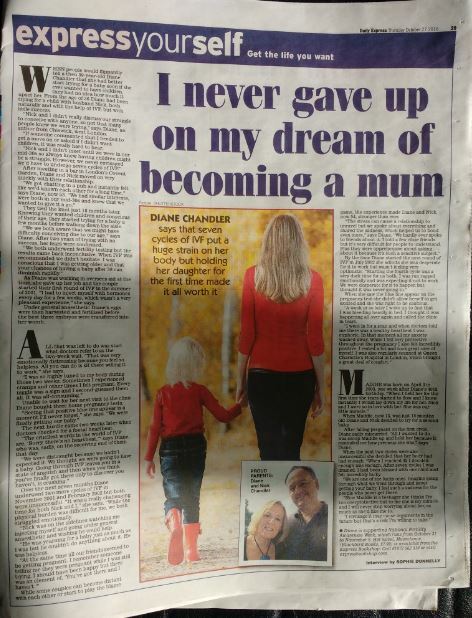 Diane Chandler piece about her own IVF experiences in The Sunday Telegraph. 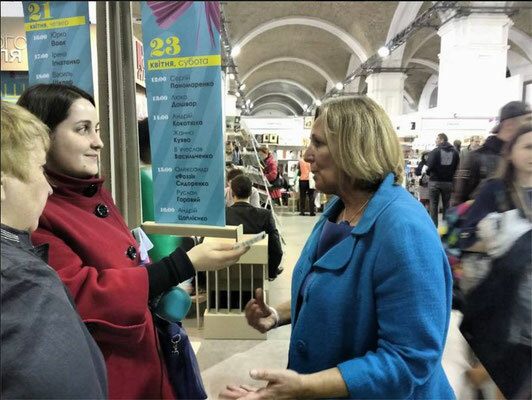 Diane Chandler interviewed by The Daily Express. 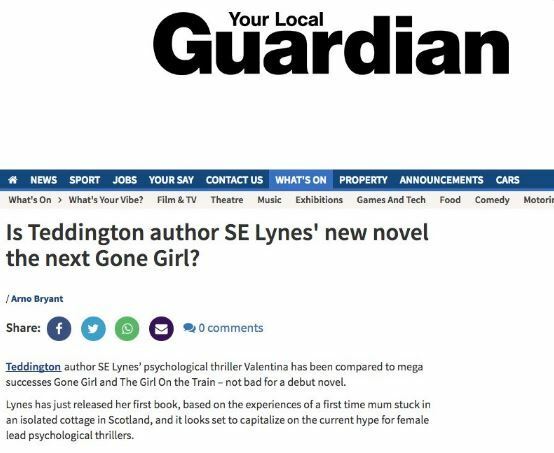 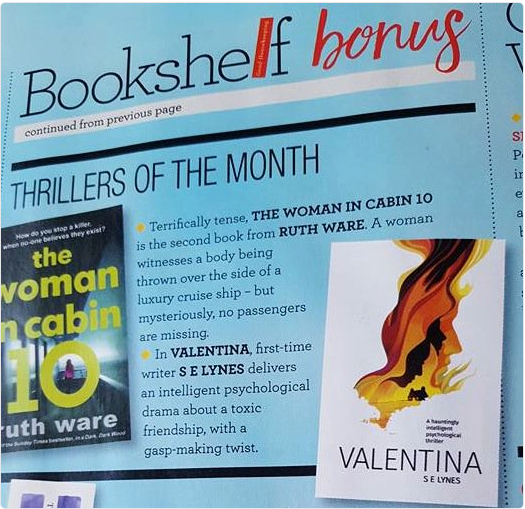 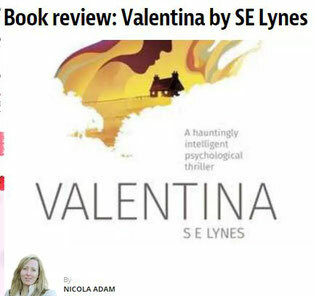 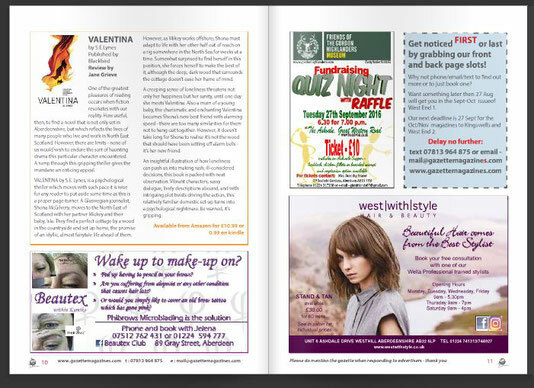 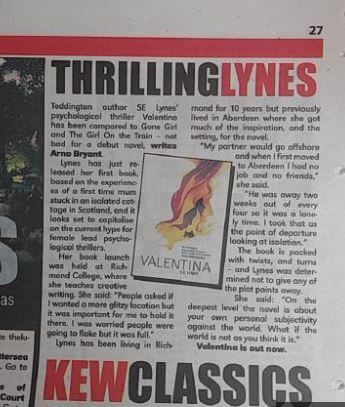 Valentina by S E Lynes is reviewed in The Burnley Express and Lancashire Evening Post. 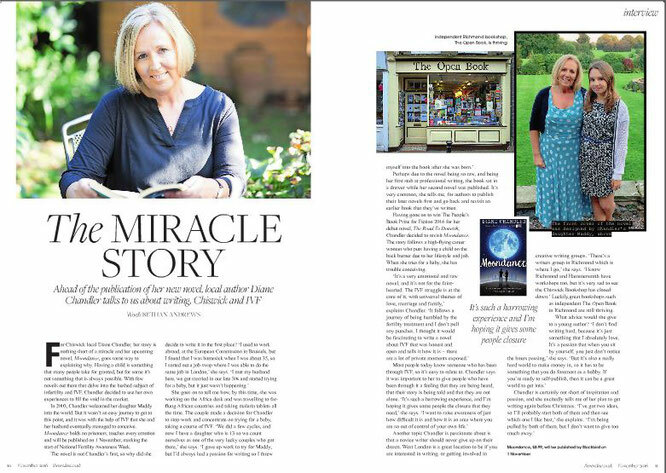 A Miracle Story for Chiswick author Diane Chandler, in west London's WESTSIDE RESIDENT magazine, pages 10/11. 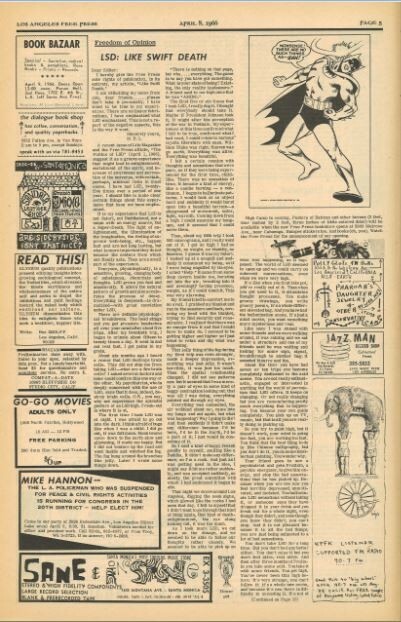 An artists's view of Paris in the 1960s. 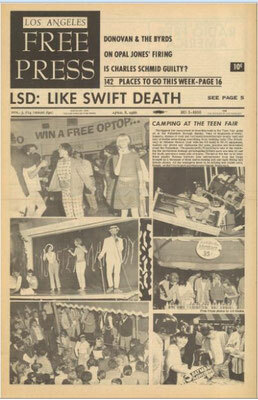 Extract from Michael Lawrence's Tripping With Jim Morrison & Other Friends in travel & food blog Will Fly For Food. 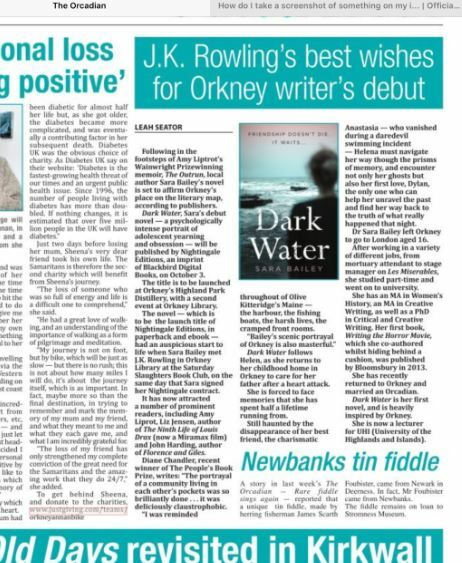 First press for our new imprint Nightingale Editions and launch novel Dark Water by Sara Bailey. 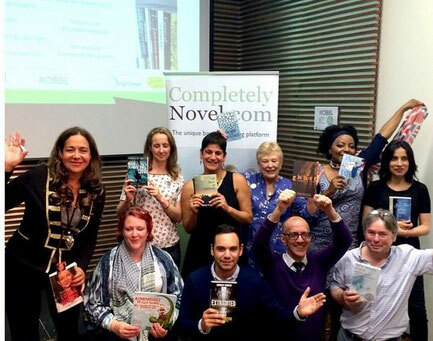 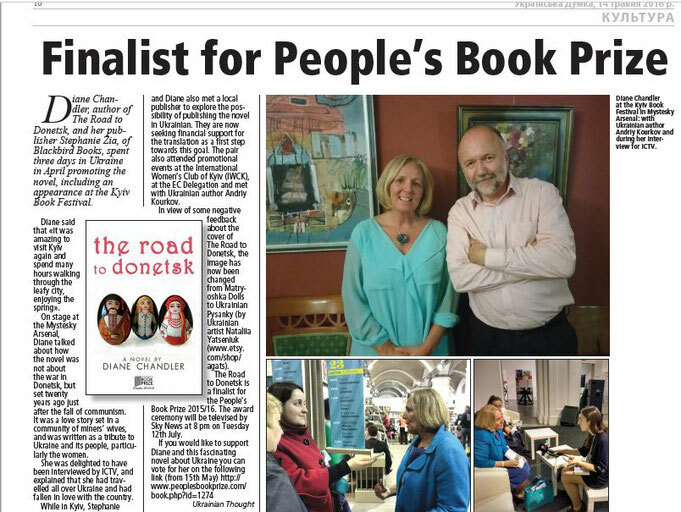 Diane Chandler talks to The Chiswick Calendar about winning The People's Book Prize and Meeting the great Frederick Forsyth. 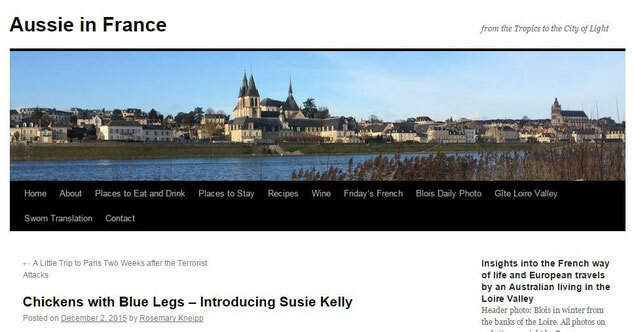 Susie Kelly, #6! 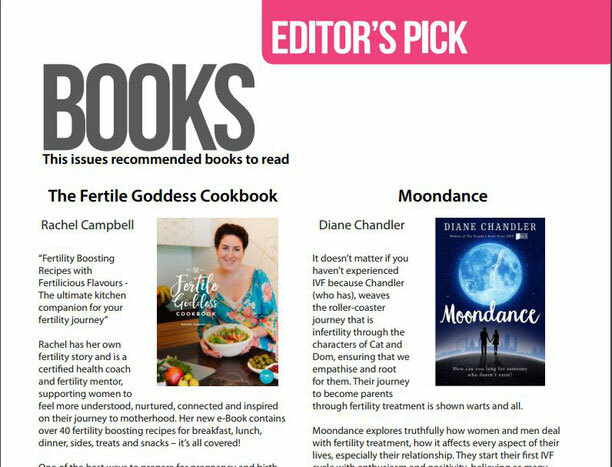 Top 10 Bestseller & the #1 woman in Australia. 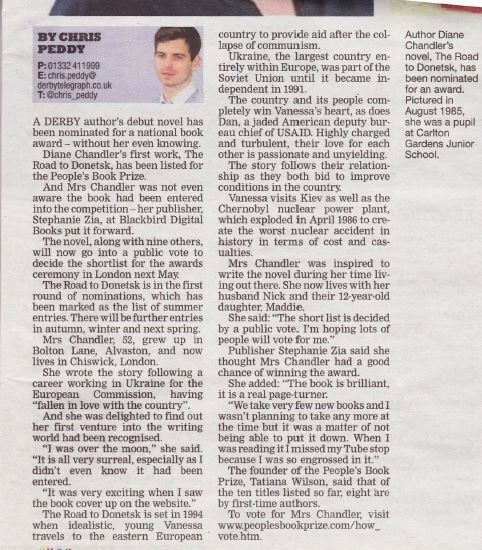 The Newspaper of The Association of Ukranians in Great Britain reports on Diane Chandler's visit to the Kyiv International Book Festival. 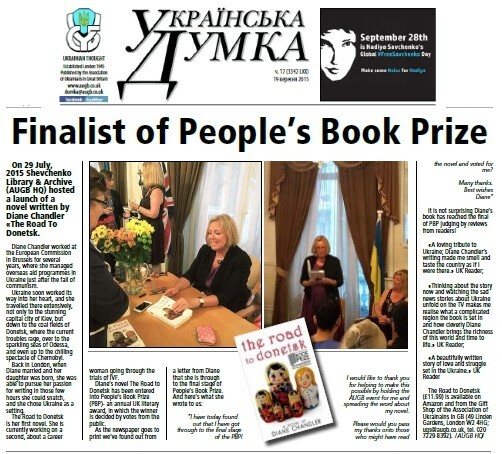 Diana Morgan-Hill becomes a US Amazon Top 100 Author. 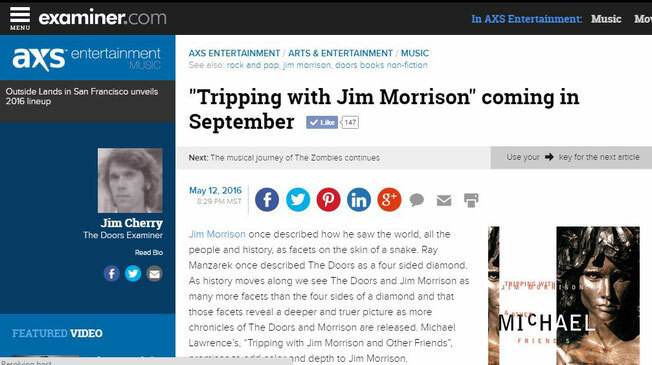 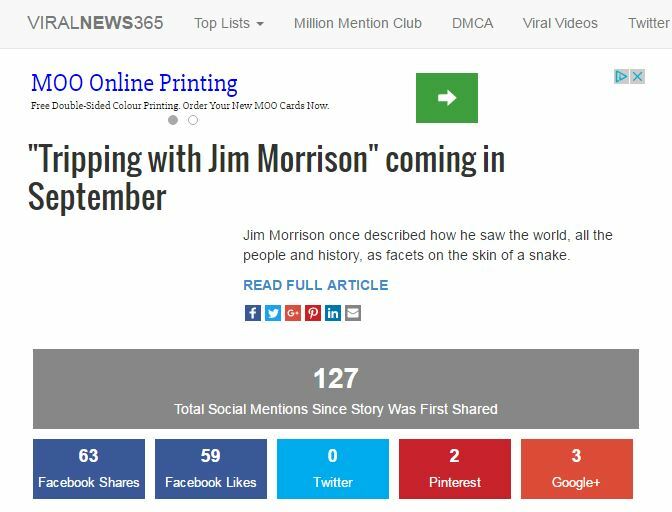 US Entertainment site Examiner.com's THE DOORS EXAMINER features the forthcoming Tripping With Jim Morrison & Other Friends by Michael Lawrence. 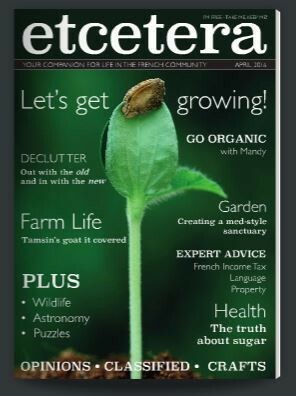 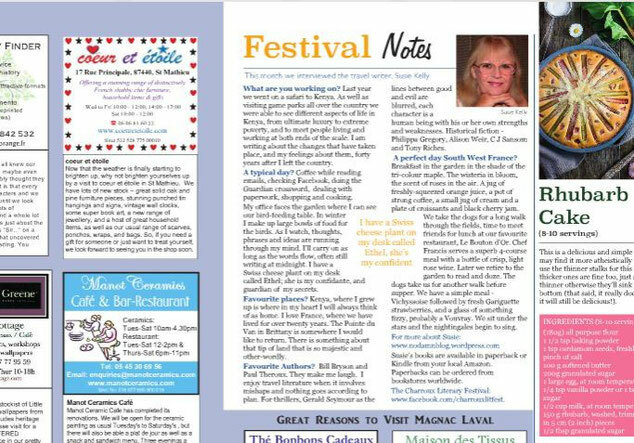 Susie Kelly interviewed in the April edition of French expat glossy ETCETERA. 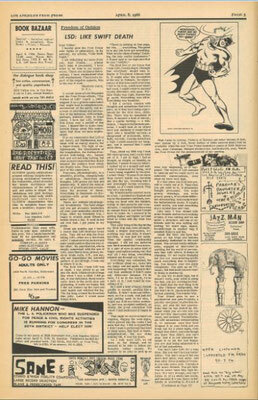 Michael Lawrence piece about Henry Miller for the LA Free Press. 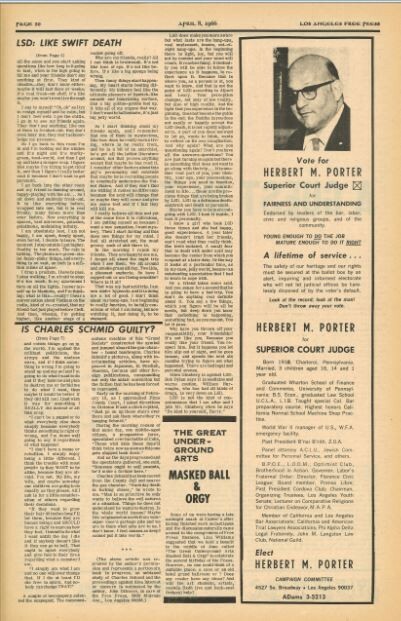 He was THERE! 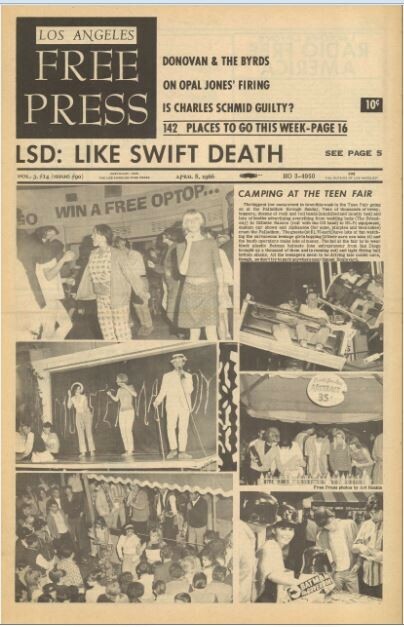 Michael Lawrence's April 1966 cover article for The LA Free Press - the Hippy Bible - LSD, Like Swift Death. 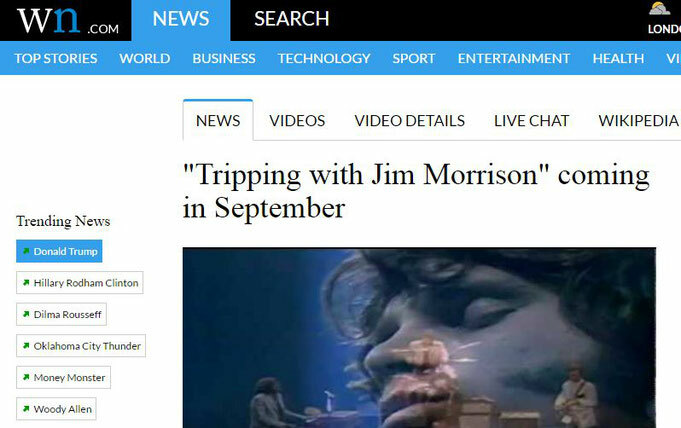 His memoir of those times, Tripping With Jim Morrison & Other Friends is published in September 2016. 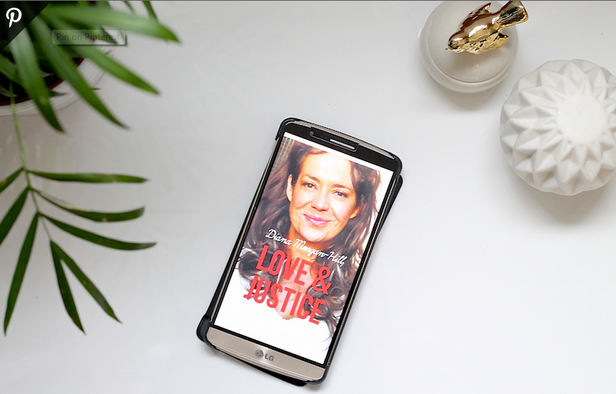 An in-depth interview with Love & Justice author Diana Morgan-Hill will be appearing in the next edition of Living With Disability magazine. Susie hits Australia! 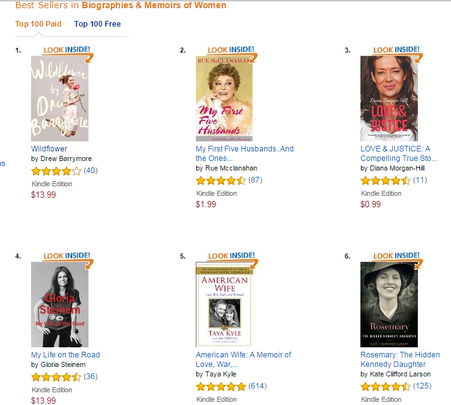 An overall ranking of #21 & #1 in Australia's Biographies & Memoirs for Susie Kelly's I Wish I Could Say I Was Sorry. 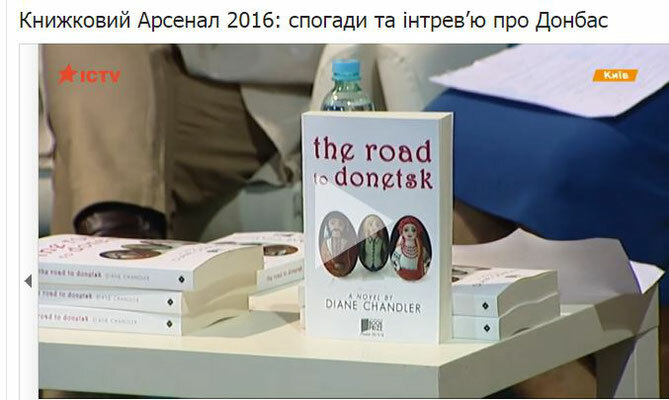 US blogger Dr Beth Nolan reviews Diane Chandler's The Road To Donetsk. 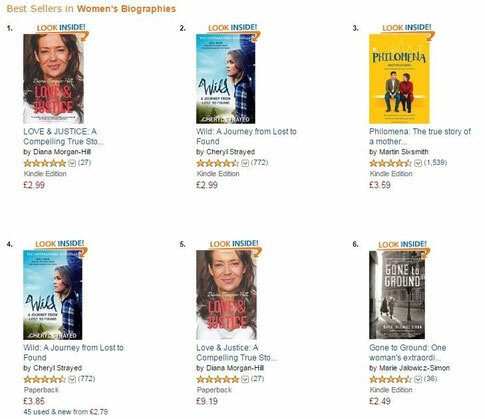 Diana Morgan-Hill's Love & Justice enters the US charts for the first time #3 Biographies & Memoirs of Women with an overall top 500 ranking. 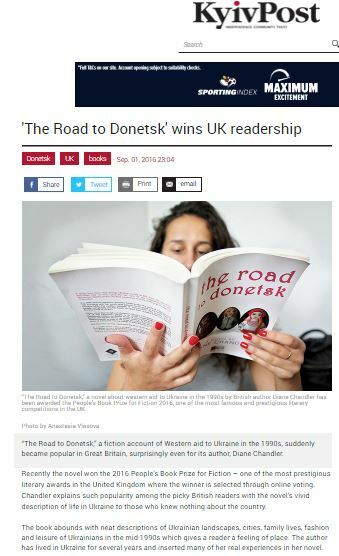 The Association of Ukranians In GB on Diane Chandler and The Road To Donetsk. 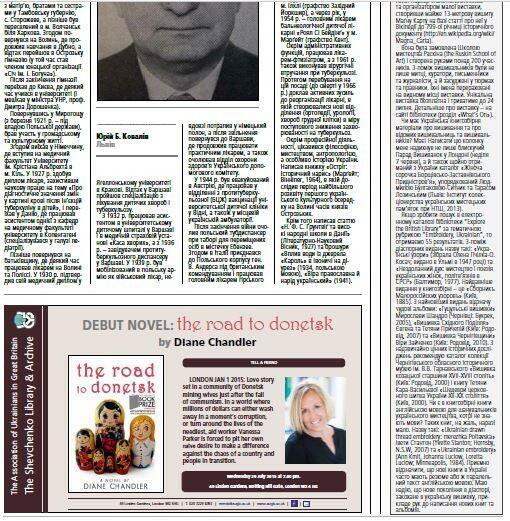 Diana Morgan-Hill chats about her book Love & Justice with Ireland's #1 interviewer Ryan "Late Late Show" Tubridy. 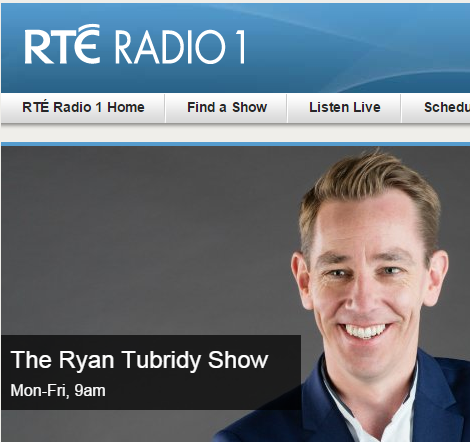 Listen to the Podcast: RTE Radio 1. 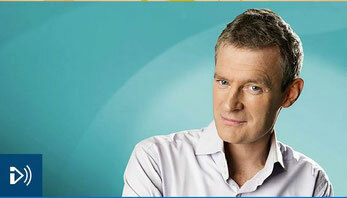 "Ryan, I am listening to that story from your guest, Diana - told so articulately & in such a dignified way, and, oh my God, she has a great sense of humour. 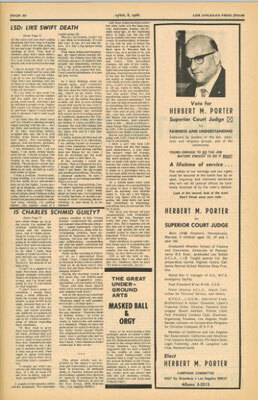 The bravery! 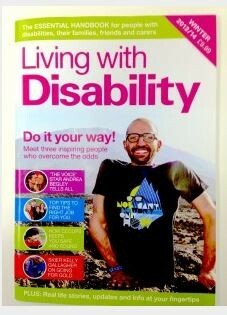 What an inspiring human being! 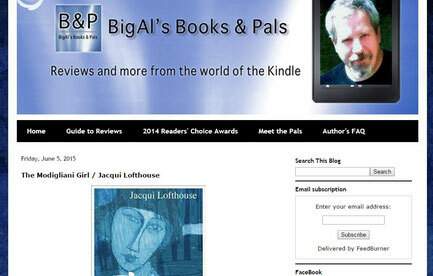 I wish more for her than she could ever wish for herself, if that is possible." 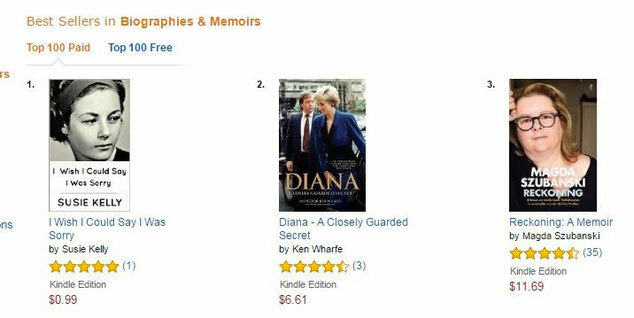 "Diana’s story took me from horror to upset to smiling and laughing. 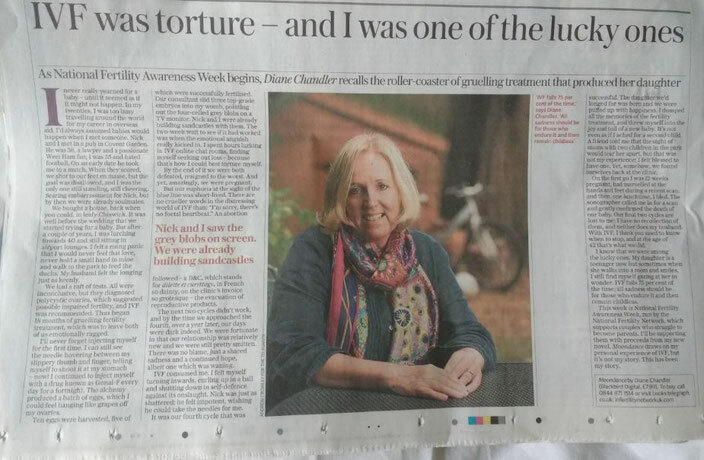 What a story and what a lady. 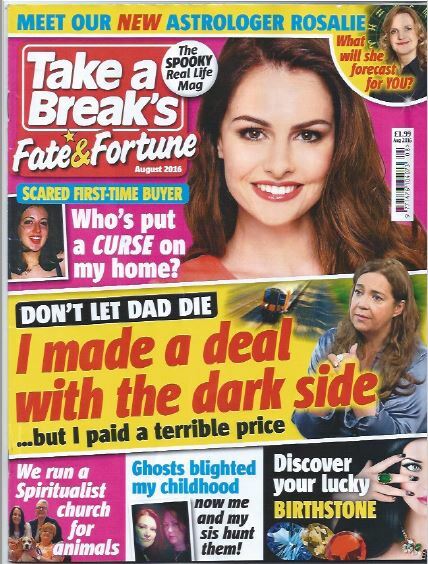 She's an inspiration." 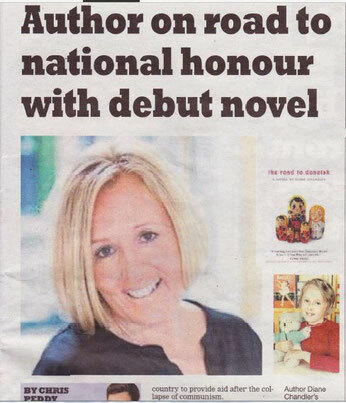 "A Story of courage, resolve. 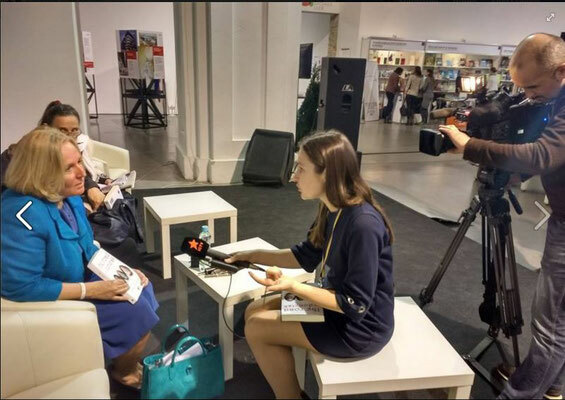 I wish Diana every good wish!" 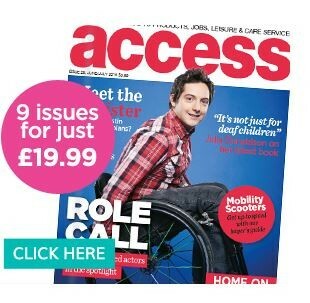 "Fantastic interview. 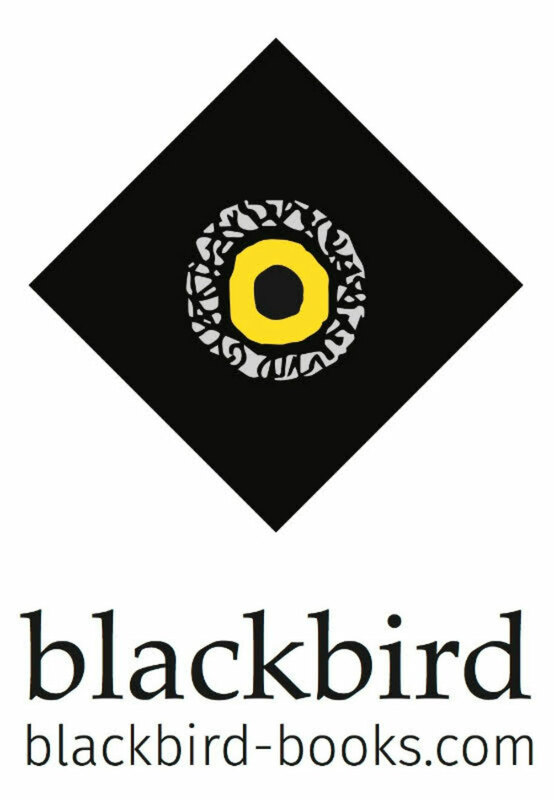 Struggling deeply with mental health issues at the moment, questioning my life. 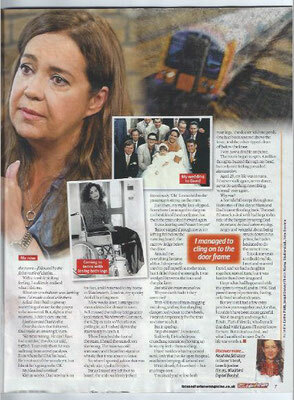 Diana's story is inspiring and her humour is outstanding! 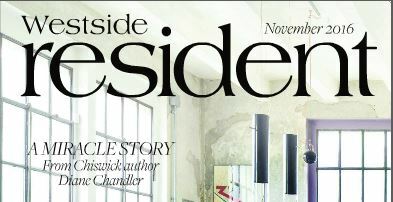 I'm smiling for the first time in a while." 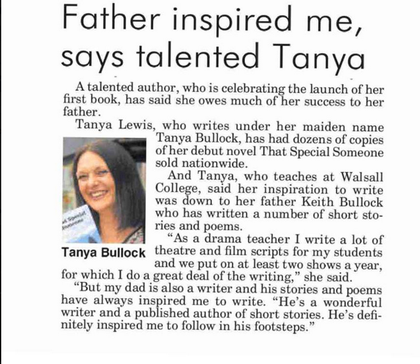 Tanya Bullock in Birmingham Express and Star. 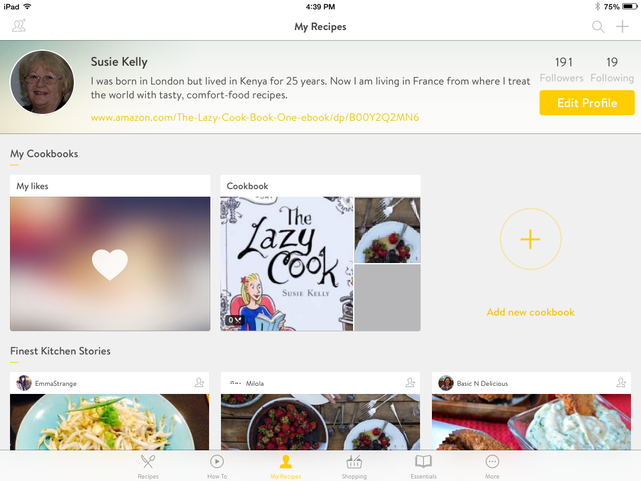 Recipes from Susie Kelly's The Lazy Cook 1: Quick & Easy Meatless Meals ﻿feature on high profile cookery App Kitchen Stories (3m+ Apple downloads). 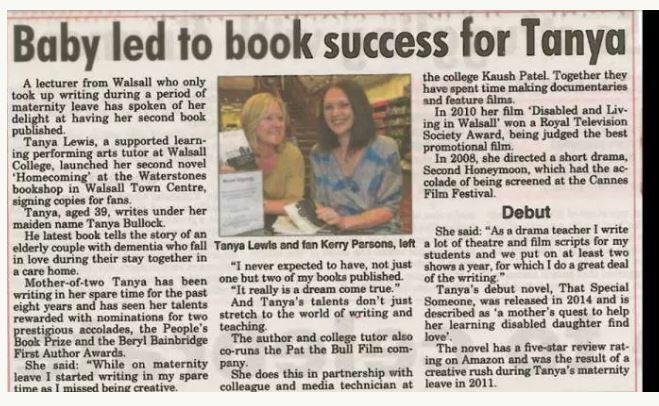 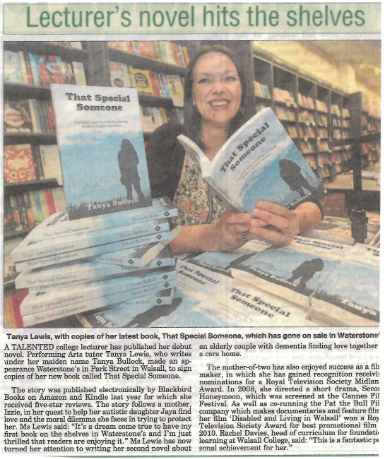 Tanya Bullock's reading from That Special Someone on 25th August at Waterstones, Walsall in Halesowen News. 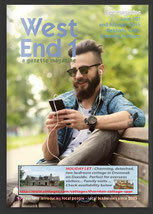 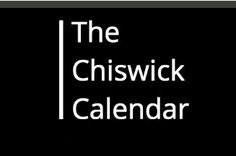 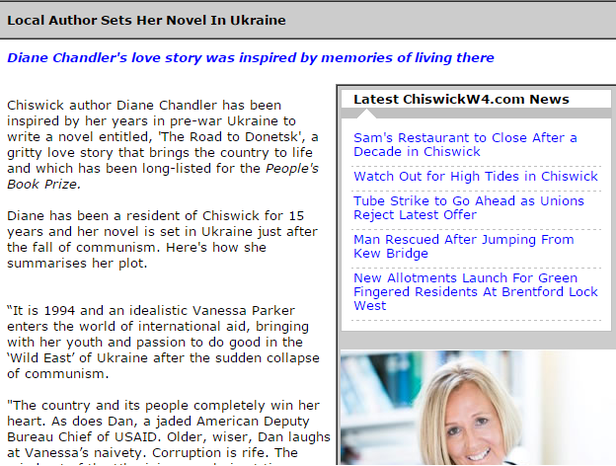 Chiswick W4 Newsletter Features The Road To Donetsk by Diane Chandler. 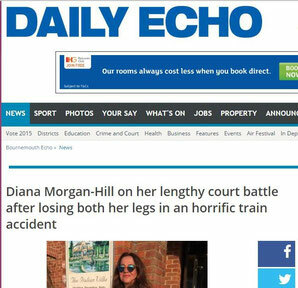 Diana Morgan-Hill feature in Bournemouth Echo's Weekend Supplement Seven Days. 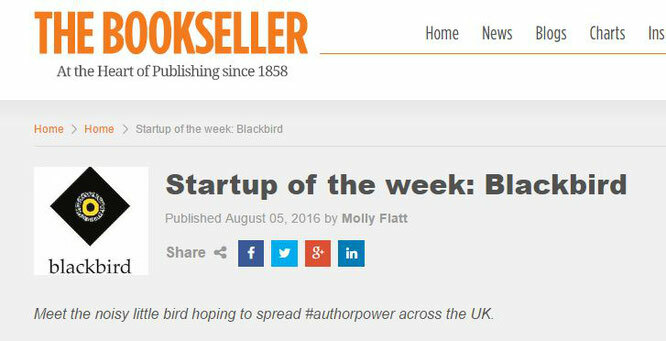 Susie Kelly's Swallows & Robins extract published in The English Informer In France. 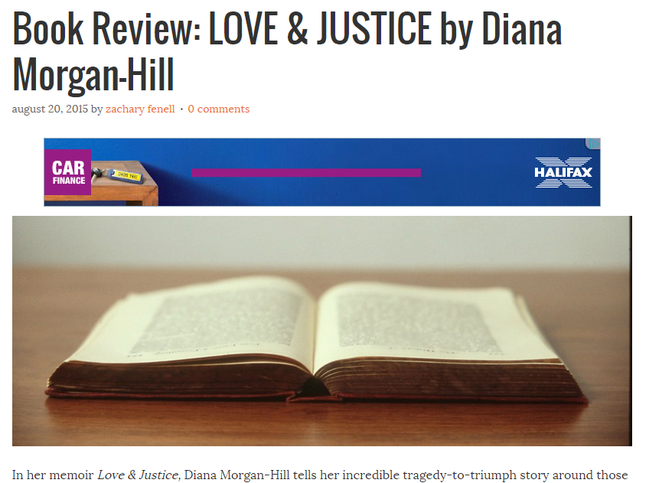 Love & Justice by Diana Morgan-Hill enters UK Amazon's Top 100 & #1 and #5 in Women's Biographies; #1 Love & Romance; #10 Non-Fiction. 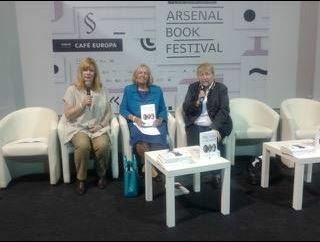 Love & Justice author Diana Morgan-Hill interviewed on BBC Radio 2's The Jeremy Vine Show. 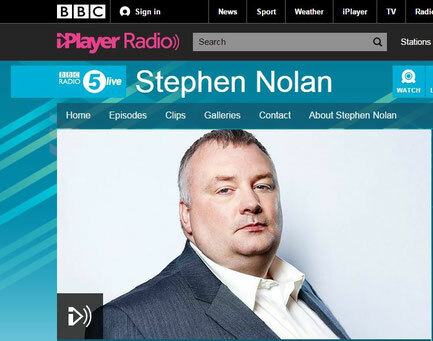 Listen to the interview here (appx 1 hour into programme) http://www.bbc.co.uk/programmes/b05tky4s/. Love & Justice author Diana Morgan-Hill interviewed on Talk Radio Europe's The Daily With Dave Hodgson.